Application or example has been more effective than theory. This book is based on less quantity more quality. This book consists of series of modules. This is the first module which contains from BASICS to LOOPS. 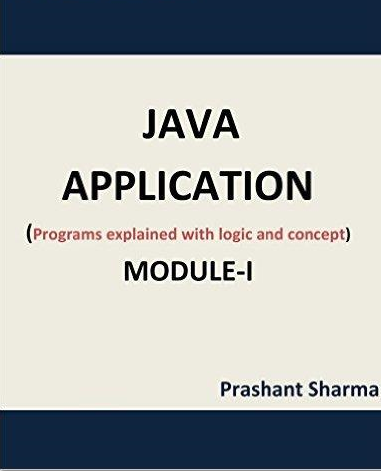 Each module is designed in such a way that anyone (beginner, school student, college student) can learn to make java applications/programs in very little time. Concepts are explained with logic diagrams and examples which do not let you get bored like in lengthy books. There are numerous solved programs with output snapshots. There are practice sets for each topic and their solutions can be accessed. Programs are fresh and related to real world problems. Text format and page dimensions are designed in such a way that it occupies the maximum area on your device and gives a pleasant learning experience.